Yesterday the UN again demonstrated its uselessness. More, it demonstrated, again that majorities are very often wrong and can be just plain stupid. Countries without nuclear weapons voted among themselves that countries with nuclear weapons should not have them. The stupid voting among themselves that the more intelligent should not be so intelligent. The UN adopted a global treaty banning nuclear weapons. Only 124 nations of 193 participated. The treaty was adopted by a vote of 122 countries in favor with one NATO member, the Netherlands, voting against and with Singapore abstaining. The stupidity of the resolution and the vote lies in that neither those who have nuclear weapons, nor those who have experienced a nuclear strike, even participated. None of the nine countries that possess nuclear weapons — the United States, Russia, UK, China, France, India, Pakistan, North Korea and Israel — took part in the negotiations or the vote. Even Japan — the only country to have suffered atomic attacks, in 1945 — boycotted the talks and the vote. The only NATO country to participate, the Netherlands, voted against. The other NATO countries not participating were Belgium, Bulgaria, Canada, Czech Republic, Denmark, Estonia, France, Germany, Greece, Hungary, Iceland, Italy, Latvia, Lithuania, Luxembourg, Norway, Poland, Portugal, Romania, Slovakia, Slovenia, Spain, Turkey, United Kingdom, United States. The UN is good at sanctimonious, feel-good resolutions which are “full of sound and fury” but “signifying nothing”. It is, in fact, the presence of nuclear weapons which has put a cap on the number of deaths by war. …… As bad as they are, nukes have been instrumental in reversing the long, seemingly inexorable trend in modernity toward deadlier and deadlier conflicts. If the Nobel Committee ever wants to honor the force that has done the most over the past 60 years to end industrial-scale war, its members will award a Peace Prize to the bomb. Nuclear weapons cannot be uninvented. The simple fact is that it is the existence of nuclear weapons which has prevented the blood-letting of WW1 and WW2 from happening again. And which prevents another Hitler from appearing. And which will prevent Kim Jong-un from ever becoming another Hitler. US warship playing in Russia’s backyard is buzzed by Russian aircraft — what else? The US Navy and a compliant press corps in the US and in Europe are making a great to-do about Russian aircraft buzzing a US warship playing war-games, in the Baltic. A long way from home and in the Russians’ backyard. 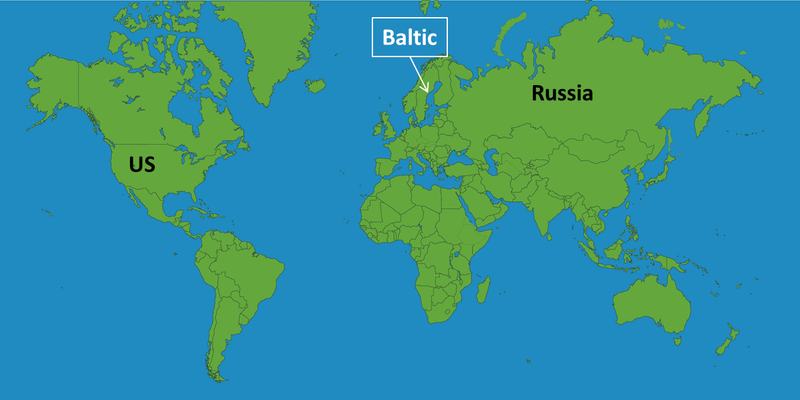 What’s a US warship doing in the Baltic? If a Russian warship was carrying out exercises just off the US coast, the US military would be castigated if it did not challenge such games. NATO – after Turkey and Ukraine and Libya – is proving to be irresponsible. In Syria they could not do in 5 years what the Russians seem to have done in 6 months. The Swedish military and the defence industry are pushing for Sweden to join NATO. I suspect that could be just the provocation needed for the Russians to do to the Baltic what the Chinese are doing in the South China Sea. Take over a few islands, build some airstrips and military bases and redefine the extent of domestic waters. It may not be Gotland in the first instance but Sweden joining NATO will increase the risk in the Baltic – not reduce it. NATO expansionism creates a greater risk of WW3 than Russian aggression in Russian dominated areas of the old Soviet Union. A United States Navy destroyer operating in international waters in the Baltic Sea experienced several close interactions by Russian aircraft April 11 and 12. On April 11, Donald Cook was conducting deck landing drills with an allied military helicopter when two Russian SU-24 jets made numerous close-range and low altitude passes at approximately 3 p.m. local. One of the passes, which occurred while the allied helicopter was refueling on the deck of Donald Cook, was deemed unsafe by the ship’s commanding officer. As a safety precaution, flight operations were suspended until the SU-24s departed the area. On April 12, while Donald Cook was operating in international waters in the Baltic Sea, a Russian KA-27 Helix helicopter conducted circles at low altitude around the ship, seven in total, at approximately 5 p.m. local. The helicopter passes were also deemed unsafe and unprofessional by the ship’s commanding officer. About 40 minutes following the interaction with the Russian helicopter, two Russian SU-24 jets made numerous close-range and low altitude passes, 11 in total. The Russian aircraft flew in a simulated attack profile and failed to respond to repeated safety advisories in both English and Russian. USS Donald Cook’s commanding officer deemed several of these maneuvers as unsafe and unprofessional. After Syria, there is some irony in the US military accusing the Russians of unprofessionalism. Or maybe I’m thinking of competence rather than professionalism. The US started its regime change efforts in Syria 4 years ago, in 2011, with the financing, training and encouragement of selected “moderate rebels”. They have no doubt weakened Assad but have also been instrumental in creating ISIS. The US and Nato have been taking great pains to avoid providing any support to Assad’s regime, and only providing support to their favoured “moderate rebel” groups. Even though it has always been the fanatic groups who have muscled the “moderate rebels” out of the way whenever they have achieved any gains. US and Nato have had no clear strategy. They have attempted regime change with no idea of what is to come afterwards. They have not been able to even contemplate any plausible end-game scenario, because the “moderate rebels” they support are too fractured and diverse in themselves to form any clear alternative to the regime. By contrast, the Russians have an end-game in view though it is not clear if that can be achieved. But it does at least provide a clear direction and a focus which is lacking in the US/Nato approach. Needless to say, the US and NATO are not amused, though they have no alternatives to suggest when they criticise the Russian cruise-missile strikes from the Caspian Sea. These missiles flew over Iran and Iraq and the strikes were clearly coordinated with them. 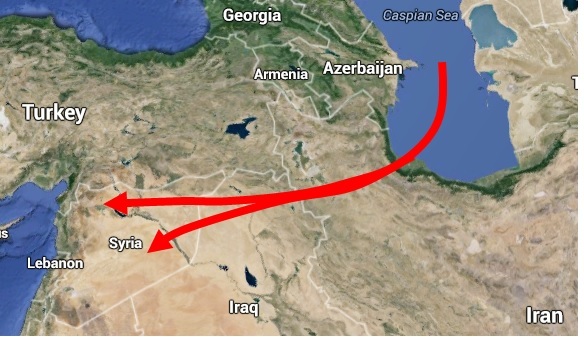 The missiles flew some 1,500 km before reaching their targets. …. Four warships of the Caspian fleet were involved in the missile attacks, the Gepard-class frigate Dagestan and the Buyan-M-class corvettes Grad Sviyazhsk, Uglich and Veliky Ustyug. They fired cruise missiles from the Kalibr NK (Klub) VLS launchers. The missiles used are capable of hitting a target within 3 meters at a range of up to 2,500 km. Nato countries and the US are highly indignant at these attacks and the Russian violations of Turkish air space, which I suspect, were deliberate and were meant to test limits even if they had no hostile intent. Nato defence ministers are promising to support Turkey and the Baltic States as if they were directly being threatened by Russia. But that, I think, is because they have no strategy of their own. The US also does not like the Russian strategy but has none of its own. A US-led coalition has been carrying out air strikes against IS in both Syria and Iraq for months. But Western countries support rebels who have been fighting to oust Mr Assad since 2011. …. Protesting too much, I think. The problem for the US is that the boots on the ground to defeat ISIS are not going to come from their pet “moderate rebels”. They can only come from the Assad regime, Hezbollah, Iran and Iraq (along with a thousand or two Russian “advisors”). Swedish submarine hunt continues ….. but is it just a play to promote NATO membership? The hysteria is dying down. Well nothing has been found so far but the search continues for “foreign” underwater activity. There are military officers addressing press conferences every day. Of course, it is implied, the military cannot reveal all the information they have. “We know much more than we are telling you — but trust us. We know what we are doing” is the impression they try to foster. They have even threatened to use “live fire” to force the dastardly, foreigners to the surface. The coverage, not only from the outside world but even in Sweden, is more amused than concerned. Coverage from European NATO countries tends to paint a picture of a naive Sweden terribly “unprepared” for the real and nasty Russian Bear (implying that Sweden needs to join NATO). Some of the Swedish comments are about the threat to the West from Russia through the Baltic (implying that NATO needs Sweden to join the club). Other commentary in Sweden is about the lack of personnel and ships and equipment and how the defence budget needs to be increased sharply. Some claim that Sweden’s military has only the capability to resist foreign (read Russian) aggression for about 3 days!! This needs – so the story goes – to be urgently increased to at least 4 days of resistance. The Russian press and social media comments have treated the whole story as a bit of a joke. That there is any real foreign submarine in the Stockholm archipelago is anything but convincing. Meanwhile, “the hysterical” submarine hunt is part of Sweden’s effort to get ever closer to the Western defense alliance NATO. These are some of the general comments in the Russian media in response to the feverish search for a “possible submarine” in Swedish waters. “Sweden has suffered from a ‘Russian submarine syndrome’ since 1981, when a Soviet submarine through a navigational error came into Swedish waters and went aground near the Swedish naval base in Karlskrona. Since then ‘Russian submarines’ show up in Swedish waters just before a defense budget is to be adopted”, says the Russian newspaper, Pravda, about events in the Stockholm archipelago. Pravda, which has consulted with military experts, also dismisses press reports (in Svenska Dagbladet) that the Swedish military had captured emergency radio signals from an unidentified submarine in Swedish waters. 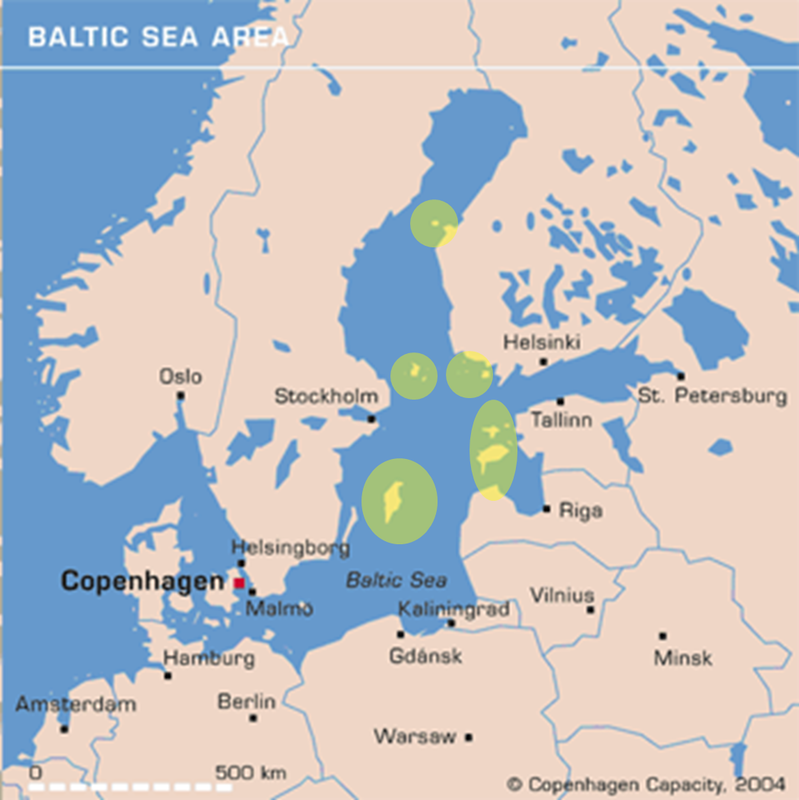 The signals were reported to have been directed to and received in Kaliningrad, where the Russian Baltic fleet’s main base is located. The signals were said to be on a frequency that the Russian Navy uses in extreme situations, hence the conclusion that there may have been a submarine that was in distress. But according to Igor Kurdin, president of the Submarine Men’s club in St Petersburg, the information about a distress signal is baseless. “There are several channels of communication on board submarines. Registering a signal is possible, but it is impossible to decrypt them, and to determine the direction of a radio signal is impossible according to the laws of physics”, says Kurdin (Interfax news agency). Perhaps there is a submarine out there. Perhaps it was in distress. Perhaps it was testing Swedish defences. I have my doubts. Maybe I am just being cynical but I see two “drivers” here. A push for NATO membership and a larger defence budget. There is a new Red/Green government in place and they are due to present their first budget proposal today. Normally the Red/Greens could be expected to cut back on defence spending and they are ideologically not at all comfortable in joining NATO. They have an idealised and somewhat glorified vision of a “Swedish neutrality” even if it is completely contradicted by the reality of cooperation with the US and NATO for at least the last 30 years. Public opinion is against NATO membership – but only just. The Swedish military would just love to be part of NATO and take part not only in exercises but also in some real live fire-fights. The Swedish military – for all its restricted defence budget – is quite technologically advanced but lack playgrounds for their toys. Being part of NATO would provide more playgrounds and even more toys and many more players to play with. The difference between playing The World of Warcraft all by yourself or playing it on the internet!! It could be a joint NATO/ Swedish military exercise to show the benefits of NATO membership. There is a faint possibility there was something real but relatively innocent by the Russians but which has been opportunistically seized and blown up by the defence lobby and NATO supporters. The budget proposal today is now expected to have some defence spending increase included. A partial success for someone. Afghan opium harvest reaches record high and Western troops prepare to withdraw – after a job well done? This Afghan war started on 7th October 2001. Ostensibly the US, NATO and Western allies invaded to dismantle the Al Qaida infrastructure, remove the Taliban from power and to eradicate their support base by winning hearts and minds. Twelve years on, about 10,000 Afghan security forces and about 5,000 allied forces (including contractors) have been killed. The numbers of Taliban and other Islamic fighters killed is believed to be many more than the 15,000 allied losses – perhaps as many as 30,000. Around 18,000 civilians have also lost their lives. The Taliban are still around and apparently gaining strength. I am not sure whether the intention was to destroy the drug trade or whether it was secretly to secure drug supplies. In any event the opium harvest has never been as high before. History will have to tell us if this was a job well done or something else. Afghan opium cultivation has hit a record high as international forces prepare to leave the country, the United Nations said on Wednesday, with concern that profits will go to warlords jockeying for power ahead of a presidential election next year. The expansion of poppy to 209,000 hectares (516,000 acres), will embarrass Afghanistan’s aid donors after more than 10 years of efforts to wean farmers off the crop, fight corruption and cut links between drugs and the Taliban insurgency. …..
A kg of opium costs some $200 at the farm-gate. This produces about 100 g of pure heroin. The street price of heroin is about $170 per gram (2012 prices) for typically 40% pure heroin (75% is considered high). The $200 dollars for the 1 kg of opium is thus marked-up to about $40,000 as street-heroin. If the profits at the farm-gates are $1 billion, it can be expected that the profits on the streets from the processed drugs must be of the order of 50 – 100 times greater. A steady profit stream of $50 – 100 billion per year clearly will – and does – cause many to salivate. Each kg. of opium produces 100 grams of pure heroin. The US retail prices for heroin (with a low level of purity) is, according to UNODC of the order of $172 a gram. The price per gram of pure heroin is substantially higher. The profits are largely reaped at the level of the international wholesale and retail markets of heroin as well as in the process of money laundering in Western banking institutions. The revenues derived from the global trade in heroin constitute a multibillion dollar bonanza for financial institutions and organized crime. Posted in Afghanistan, Behaviour, Business, Politics, US | Comments Off on Afghan opium harvest reaches record high and Western troops prepare to withdraw – after a job well done? An acceptable form of killing since it was not by gas. No red lines crossed here. Afghan officials have said an apparent Nato air strike has killed 15 people – nine of them civilians, including women and children – in an eastern province where the Taliban remain strong. Nato said 10 militants had died in the strike, and that it had no reports of any civilian deaths. … The Kunar province police chief Abdul Habib Sayed Khaili said the air strike had hit a pickup truck carrying the women and children in Qoro village soon after three Arab and three Afghan militants boarded it on Saturday evening. He said some reports had called it a drone strike, but that Afghan officials had been unable to confirm that. Of the 15 dead, four were women, four were children and one was the driver, the police official said. The Watapur district chief Zalmai Yousefi confirmed the air strike. He also said 15 people had been killed, including women and children. The Nato spokeswoman 1st Lieutenant AnnMarie Annicelli confirmed that the military alliance had carried out a “precision strike” that killed 10 “enemy forces”, but that it had received no reports of any civilians dying in the air strike. Annicelli had no immediate details on who exactly the dead were or what prompted the strike. Blood and oil in the sand: Is Gaddafi still getting the money from Libyan oil? Apparently Libyan oil is still flowing while bombs are falling . But who is getting the money for the oil? And is oil the only reason why the West and Nato are supporting the rebels in Libya but not those opposing the oppresive regime in Bahrain? On Thursday evening, Dirk Niebel a member of Merkel’s junior coalition partners, the Free Democrats (FDP), accused the United Nations-backed military alliance currently operating in Libya of hypocrisy. “It is notable that exactly those countries which are blithely dropping bombs in Libya are still drawing oil from Libya,” he said. Niebel’s comments came on the heels of a demand by Merkel, made during the ongoing European Union summit in Brussels, for a complete oil embargo against Libya. The international community, she said, “must clearly show that we will not do business with anyone who wages war against his own people.” ….. Meanwhile, on Thursday, an agreement was reached among NATO member states that the trans-Atlantic alliance would take control of the no-fly zone over Libya. Towns, tribes and oil fields of Libya.